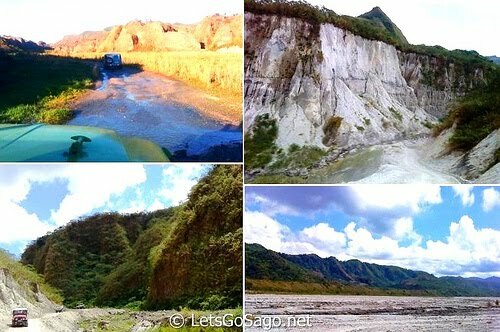 Luckyfinds: Join in "Akyat Pinatubo Bloggers' Climb for a Cause"
Join in "Akyat Pinatubo Bloggers' Climb for a Cause"
LetsGoSago.net is offering another travel-themed activity for bloggers at the majestic crater-lake of Mt. 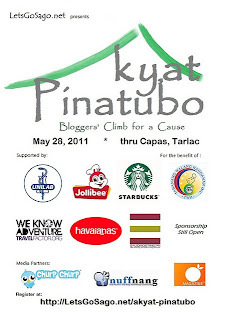 Pinatubo on May 28, 2011 for the benefit of Tahanang Walang Hagdanan. So hurry and join the cause! 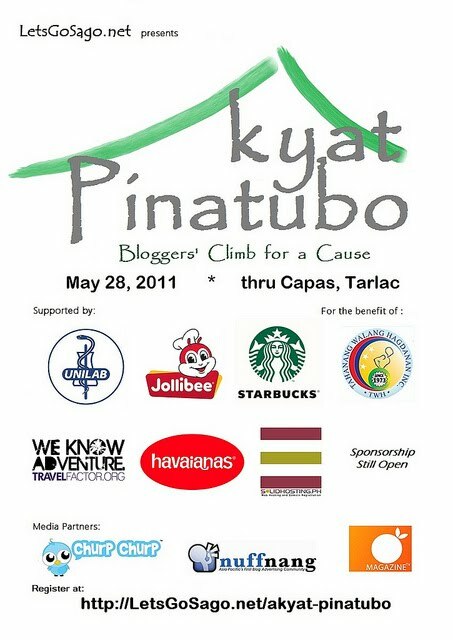 Deadline of payment is on May 20th. Cash payments will be accepted at the pre-event briefing.